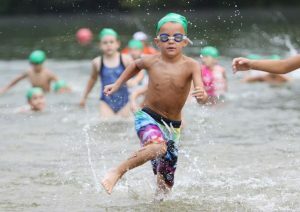 As triathlon enthusiasts, one thing we love to see is the abundance of kids’ triathlons around the country. About a decade ago, we began to see the emergence of triathlons tailored for youth, and the number has grown steadily since then. Not only are these races a great way to get kids active, but they typically are benefitting incredibly deserving organizations or not-for-profits. Far and away, the main goal in a youth triathlon is for everyone to have fun. In order to encourage broad participation and make sure everyone has a great time, we wanted to provide some guidance on how to prepare for and what to expect with a kids or youth triathlon. Choosing a race is probably the first thing you will do. In many cases, the race you choose might be obvious – perhaps it is a local race, or one that the child wants to do with friends, or it benefits an organization that your family is particularly passionate about. All are great reasons to choose any particular race. If you are in a position to choose from several races, we recommend taking a few things into account. First, the distance of the race for each leg is important. Not all triathlons have the exact same distances. Your child might be more excited about one leg – for example, biking. If so, find a race that focuses on a more substantial bike leg. Likewise, there might be a leg that your child is a bit more nervous about. Getting over those fears will be incredibly character-building, but we see lots of kids who are a little more nervous about the swim. If this is the case, you might want to find a race with a short – 100 meter or less – swim, or one that is in a swimming pool away from the elements of a lake. 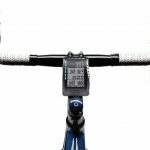 Once you find a race profile – distance, etc. – that you are comfortable with, then it is time to look at other things. Is it close to your home? It is nice to avoid a long drive if possible. Is the race one that benefits a cause you believe in? Is it during a time of year that works with your schedule, and is comfortable to race in? All are important, although kids tend to be a bit more flexible and resilient than adults in this regard. Finally, some races are huge productions with thousands of people. Others are a little quieter, more of a neighborhood feel. Decided which type of event gets you the most excited. Swim caps are usually provided by the race, but you bring your own goggles and swimsuit. Once you find a race, it is time to get ready for it. Many races are short enough so the training burden is not one that you need to stress about too much. However, most kids will have a better time, be more confident, and will enjoy all the health benefits of training if they put some time and effort into getting ready for the race. For a child who is not highly active in other sports or fitness activities, the triathlon could be a perfect way to get the body moving and create a nice, weekly rhythm for fitness activities. In many cases, 20-30 minutes three to four times per week is all that is needed. For a child who is already quite active, plays other sports, and tends to run and bike a lot, the training is a bit more about building the right skills and creating a few new habits. For many triathletes, the swim leg can be the most nerve-wracking. Have them get in the pool and do a few swims, working on their swim stroke. 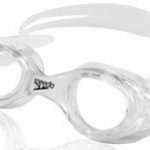 It is the plain old front crawl, the freestyle, that is the norm when it comes to triathlon swimming. If the race will be in a lake, find a beach and practice swimming along the swimming boundary to get the feel of swimming in open water. The bike leg is one that usually comes naturally to most kids, but the key will be getting them used to the distance. It is common for a kids’ triathlon to have a bike leg of 1 to 5 miles. Those distances are very doable for most children, the key is letting them train in a way that helps them get used to pacing themselves so they don’t run out of steam in the first quarter of the ride. Ride along with them, teaching them how to hold back so they will have enough energy to ride the entire race at a strong pace, rather than start fast and then fade. The same concepts of pacing apply to the run leg. It is important to get a few runs in, of the same distance as the race, in order to feel what the entire run will feel like. The tendency will be for a child to get off to too fast a start and run out of team early in the race leg. Practice running at a pace that is fast, but not so fast that you will need to slow down later in the race. Most runs in a youth triathlon are .5 miles to 1.5. miles, so plan accordingly. Understanding how to keep a pace that allows you to turn in a good performance, but yet not get tired out too early, is an important skill that will crossover to many other physical activities. Have the racer practice the transitions a few times. Transitions are the process of switching from the swim to the bike, or from the bike to the run, and are a key part of the triathlon sport. It is important to have thought about how they want to exit the swim and get on your bike (including any clothing switches) and how to then move from the bike to the run. Adult triathletes often practice their transitions to a point where they can do them in just a few seconds. A child doesn’t need to be that precise, but it is nice to know what to do when you get to the transition area. A key part of the transition is switching into the clothing that you need for the next leg. For the first transition (T1 – as it is called), many racers will simply put a shirt and shorts on over their swimsuit. Yes, the swimsuit will be wet, but it will dry quickly. Other, more serious racers, might have a triathlon-specific suit or pair of shorts. See the next section……. The gear needed for a triathlon, as we have written in our adult triathlete-oriented gear pieces, varies greatly based on the racer’s goals. When it comes to kids, we would advise to keep it as simple as possible. This should be a fun activity, not one that you need to stock up on a bunch of new equipment for. 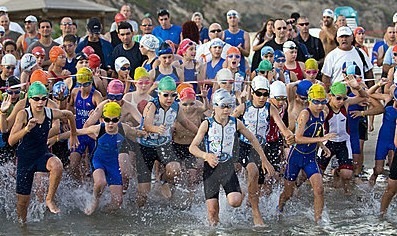 Some children might choose to wear triathlon-specific gear for the race. While it can be useful for the longer races, it is not required. Most races can be done with little additional gear than what you already own. Probably the biggest factor in gear is dictated by whether the swim leg will be in a pool or open water, like a lake. In a pool, it is pretty common to race in a swimsuit or swim jammers. If the race is in open water, a wetsuit sometimes comes into play. For shorter swims, like a 50 or 100-yard swim, a wetsuit really doesn’t make sense. For longer swims in open water, a wetsuit could be an option, especially if the water temps will be below 75 degrees. If this applies to your race, check out our piece on kids’ triathlon wetsuits. Note that swim caps are usually provided by the race on race day. Use whatever bike is most comfortable for cycling, definitely whichever one was involved in the training rides. You will definitely need a helmet – this is usually a rule for all triathlons (adult and kids). You will also need a shirt of some sort to throw on after the swim, in the transition area. For children who might want to do multiple triathlons or are hoping to compete hard in a longer youth triathlon, consider getting them a road bike. The posture and gearing will allow them to be more efficient in their riding. Used road bikes are constantly available if you want to save some money. For kids whose goal is to finish the race and have fun, any old bike will do as long as it fits correctly. For the run, simply dress as you would if you were doing a running race. T-Shirt, shorts, and running shoes with socks will be the standard uniform. For some of the more competitive races, you may see youth in race singlets or other tri-specific gear. Such outfits have a few advantages, as they will allow the racer to not change clothing (they can be worn in the swim, bike and run) and are specifically made for triathlons. For someone who is making triathlon their sport and may want to do several races, consider some of these pieces. While it is great if the child wants to be that focused on the race, such investments are typically not necessary, and if your child is simply trying a triathlon to get the experience of it, the clothing requirements are much more relaxed. When in doubt, check with your race director on the suggested attire for your specific race. A racer gets body-marked before the race. Race day is a fun time! Arrive at the race a bit early, because you will want to get adjusted to the environment, get things setup in the transition area, and maybe take a look at the course. Most races will want you to be check-in well before the race start time, and it is common to find an exact schedule of events on the race’s website or in the reminder emails sent by the race directors. Before the race, it is useful to see where the swim entrance is, where the swim-out is, and same with the bike and run courses. You probably will need to check-in at a registration table (they will have a packet ready for you if you pre-registered) and get your race information. You might get a race number, and in some races a timing chip. You might also get “body marked” which is simply someone writing your racer number and wave information on your arm and leg. It only takes a minute and is all done by race volunteers. 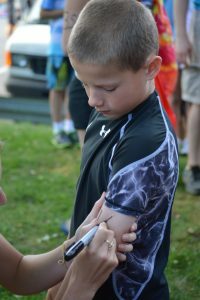 It is part of the fun of a triathlon — where else do you get to have someone draw numbers on your skin? You will also setup your bike and run equipment in the transition area, so it is ready to go when you get out of the water. From there, there is usually a race announcer that will keep everyone informed on what to do. There will be a few announcements, often a national anthem, and then racers get ready to swim in their wave or in the lineup. Waves are often done by age group, and usually spaced anywhere from 3 to 5 minutes apart. Once your wave begins racing, just focus on the fun! During the race itself, the racer will most often be in a group of other children, so it should be easy to know where to go. Along the race course, volunteers will be stationed to help the racers follow the right course, and assist with any problems. For younger children, parents are sometimes allowed to run or walk with their child. However, for most races, it is important that spectator stay off the course and keep a safe distance from the cyclists and runners. After the race, there are often refreshments, music, and a fun atmosphere, so be sure to allow some time to stick around and soak it all in. We created a triathlon race-day checklist geared for adult racers. While a youth race tends to be more relaxed and you don’t need quite as extensive a checklist, it can be useful to peek at the checklist that an adult racing full triathlon might use, and then create your list based on your particular needs. We hope that this article helped you think about your next (or first) youth triathlon. We are thrilled that you are considering doing one, as the sport of triathlon is a great way to stay active and healthy, and compete in an incredibly fun setting. As with any youth activity — sports, fishing, skiing, etc — the key is to keep it fun. If you are successful in that, we have a feeling it won’t be their last youth triathlon. If you are looking for a kids triathlon in your area, check out our race finder to help you locate one that might be a great fit for you.